Every now and then, I find myself in the rather frustrating position of having to defend climate science to people who not only do not understand it, but are trying quite hard not to. Despite it being an entirely uncontroversial part of the body of human knowledge, the greenhouse effect is often a sticking point. I explain the mechanism by which the greenhouse effect works in some detail here, but in my experience with teaching, and in particular teaching scientific concepts, I have found that a concrete example can often help understanding more than a bunch of mathematical equations. The arguments take the general form of first attacking the amount of as being insignificant. is measured in ppm (parts per million), and the current level is about 400ppm, which is 0.04% of the atmosphere. That doesn’t seem like a lot, but it’s actually fairly significant. The other significant greenhouse gas is and it varies between 0 and 4% depending on the temperature and pressure (dew point) but is typically about 1%. The other reason it’s significant is because water vapour, due to the water cycle is in balance – meaning the total amount, averaged over the Earth, over a year, doesn’t vary much at all. In fact, the same is true of , which brings me nicely to the next common argument which is that the human contribution of is not significant. In fact, the human contribution of amounts to about 3% of the Earth’s total budget. However, as I said before, the amount of in the atmosphere is balanced, so if we humans just throw some into the atmosphere, it’s going to disturb that balance. Imagine a large bathtub without a plug, and being supplied by a tap. Without human emissions, the amount of water flowing into the bathtub was equal to the amount flowing out. However, with human emissions added, even though in comparison to the whole-bathtub-equation, we’re only adding a few drops here and there, these drops accumulate over time. This is why the concentration has slowly increased over the years. Prior to the industrial revolution, it was at about 280ppm, and it has taken over 150 years to get to 400. Lastly, I have to deal with the really ridiculous argument that is saturated. What the flat-earthers are trying to say here is that past a certain (very low) concentration, adding more will not lead to more warming because it has already absorbed as much as it can. Anyone with a basic understanding of physics and chemistry is probably facepalming right about now, but I’ve read some very serious attempts at scientific papers trying to show this (none have been published, funnily enough). The reason this isn’t true is because of the way absorption and emission works. What basically happens is you have electrons wizzing around the nuclei of atoms in molecules. Depending on the arrangement of these atoms, they will absorb electromagnetic radiation at different wavelengths, and depending on the arrangement of their respective electron shells, they will emit radiation at different wavelengths. When a photon is absorbed, an electron jumps from a base energy state to a higher state (think of it like going from a low orbit to a higher orbit above it’s home nucleus-planet). After a while, the electron will eventually return to its base energy state, and when it does it will emit a photon whose wavelength is determined by the difference in energy between the excited state and the base state. The reason the whole idea of being saturated at a certain concentration is so absurd is that it’s easy to see that, first of all as soon as an electron as absorbed a photon, it then gives one back, making it very quickly unsaturated again, but also that adding more simply increases the capacity for absorbtion and emission, which in the case of means an enhanced greenhouse effect. But let’s say you want to ignore all of that because you’re a bit lazy, or you didn’t like science at school, or you’re being paid by an oil company to muddy the waters of science. If I want to sum up all of what I’ve just explained in a concrete and easy-to-grasp example, I can simply point at Venus. Venus’ atmosphere is 97% and its surface temperature is 464 degrees C. The reason it is so hot is because of the greenhouse effect. So basically, anyone who seriously thinks that putting more in the atmosphere won’t result in warming needs to go and live in another solar system. But, I hear you say, Venus is closer to the sun. Yes it is. Let’s examine that. Venus is 108.21 million km from the sun, and the Earth is 149.60 million km, give or take.1, 2 The amount of energy from the sun that hits our respective planets varies by the inverse-square law. The Earth typically gets about 1367.6 watts per square meter of energy from the sun, while Venus gets 2613.9 which lines up pretty much exactly right. From this we would expect that the average temperature of Venus to be slightly shy of twice Earth’s average temperature. Earth’s average temperature is 15 degrees C, or 288 Kelvin, while Venus’ is 737 K, which is a great deal more than we expect it to be (we expected it to be about 550 Kelvin). In other words, there’s about 186 degrees worth of extra heat which are a result of the enhanced greenhouse effect brought on by an atmosphere which is mostly . One skeptic with whom I locked horns on the internet over this, aside from calling me many names, claimed that the real reason that Venus was so hot was because of the atmospheric pressure, and not the . It is true that Venus has almost a hudred times the atmospheric pressure as Earth, but why is this so? Venus’ mass is about 81.5% that of the Earth’s, so we would expect the atmospheric pressure to be less (all other things being equal, atmospheric pressure is determined by a planet’s gravity – think of pressure at the surface as the weight of the entire column of air directly above). Of course, all things are not equal. molecules are heavier than either nitrogen or oxygen molecules (the most commonly-found molecules in our atmosphere). 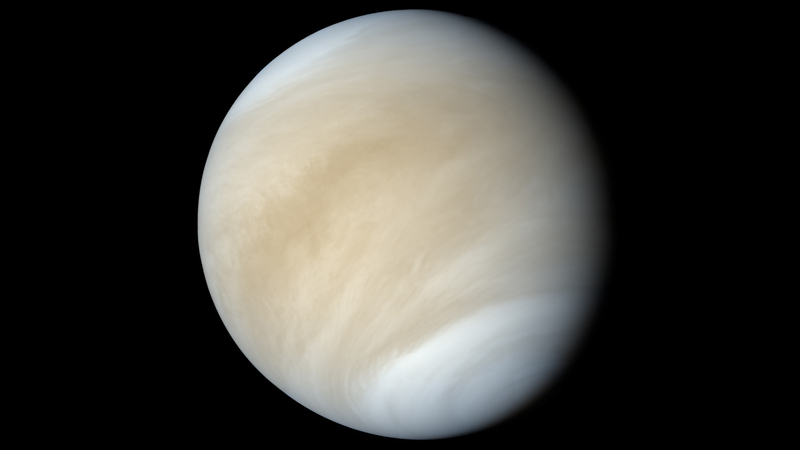 Owing to the mass of and gravity, Venus has more molecules of atmosphere than the Earth. How can we be sure that it wasn’t Venus’ atmospheric pressure that caused the higher temperature? As before, with the distance to the sun, we can calculate what the pressure should be without taking into account the temperature, and thus ignoring the greenhouse effect (which is something that global warming deniers have a tendency to do anyway, so they should be able to follow this more easily). First, the total mass of the atmosphere of Venus is kg, while the Earth’s is kg which means that Venus’ atmosphere is about 94 times heavier than the Earth’s. However, the average molecular weight of the our atmosphere is 28.97g per mole, while Venus’ is 43.54g per mole which means that a chunk of Venusian atmosphere is going to take up about two-thirds the volume of a chunk of our atmosphere of identical weight. What this means is that, even though Venus’ atmosphere is 94 times heavier than ours, there are only about 63 times as many molecules in its atmosphere as ours. Determining the volume of the atmosphere is somewhat more problematic since it’s hard to know where to draw the line for the top of the atmosphere. Since we’re only interested in ratios between the Earth and Venus, we can pick an arbitrary but comparable point on both planets, and I have chosen the scale height, as it appears on the NASA factsheets (see footnotes).3 The scale height for Venus’ atmosphere is 15.9km, while the Earth’s is 8.5km. Taking the radius of Venus to be 6051.8km and Earth’s to be 6371.0km, we end up with cubic kilometers for Venus’ (lower) atmosphere, and cubic kilometers for the Earth, meaning that the volume of Venus’ atmosphere is about 1.69 times that of Earth’s . You should remember from high school chemistry, the ideal gas law where p is pressure, V is volume, n is the number of molecules (or mole – the first four letters in the word “molecule”), R is the universal gas constant (it’s the product of the Bolztmann constant and Avogadro’s number), and T is temperature. We could spend some time calculating all the actual numbers, but since we’re really just interested in the difference between the Earth and Venus, we can use the ratios. Since we’re ignoring the greenhouse effect, we keep temperature a constant, so to figure out the pressure change, all we need to do is divide the number of molecules by the space we’ve crammed them into (which makes intuitive sense, when you think about what “pressure” means). Recall that Venus’ atmosphere has about 62.75 times more molecules in its atmosphere, but also has 1.69 times the space to fit them into. This gives us a pressure ratio of about 37.13, which is much lower than the observed one of 92 (Venus 92 bars, vs Earth 1.01 bars). If however we also put in the ratio in temperature (737K / 288K = 2.56), we end up with which is (surprisingly, considering rounding errors) quite close to the observed pressure ratio. 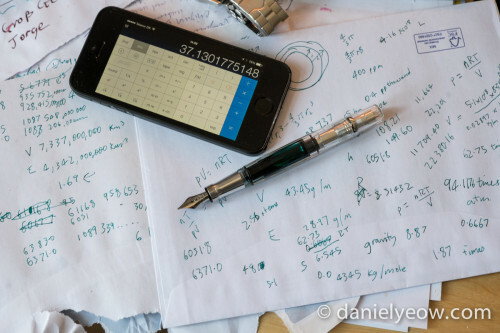 I encourage the interested reader to repeat the calculations to confirm for yourself that mainstream science isn’t just a massive conspiracy to keep down the poor, underprivileged oil companies trying to shine a light on the socialist conspiracy/gay agenda scaremongering of money-grubbing, wealth-redistributing climate scientists. Science is transparent, it is repeatable, and it doesn’t really care about anyone’s politics or opinion. I also encourage everyone to read through my other Earth Debate articles, since education and understanding are our best weapons against misinformation and ignorance. After all, knowledge is a non-rival good, and it won’t cost us the Earth. Can you explain what the 3% of the Earth’s total CO_2 budget means? All I can tell is that 400ppm and 280ppm differ by much more than 3%. I’ve added a paragraph to that section. I hope it makes things clearer.